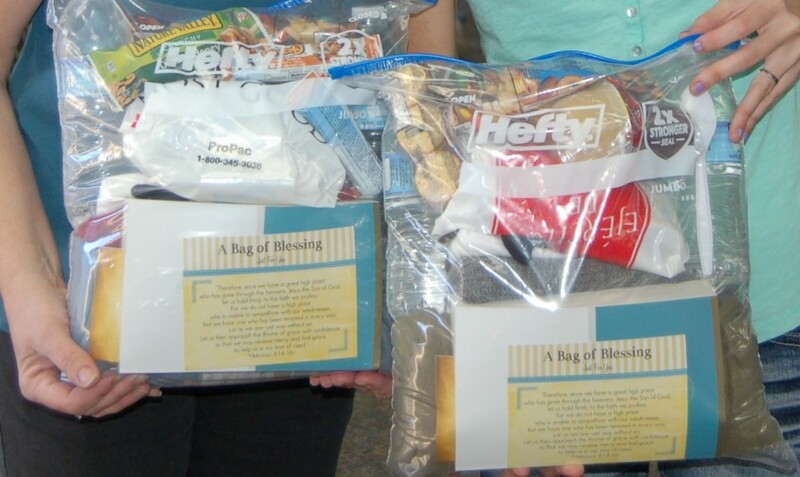 • Praise God that every last Blessing Bag has now been distributed among the needy in the Hurricane Sandy area. We are so thankful for Bonnie Jean and her family who have partnered with us in this way. Despite her own struggles as a result of Sandy’s devastation and despite major health struggles, Bonnie Jean was faithful to the task! Well done, good and faithful servant! 🙂 I’m hoping we can share some photos from New Jersey soon! • Bonnie Jean has asked for our continued prayers for her health. Specifically, she will be having minor back surgery TODAY, as well as beginning laser treatments for pain. Please pray with us that the surgery will be successful and that Bonnie Jean will have a speedy recovery. Let’s pray that the Lord will meet all the needs of her family as she continues to struggle through her health issues. • Bonnie Jean would also love prayer for the salvation of her husband, Michael. 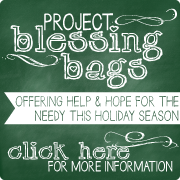 I was encouraged to hear that the family’s participation in the Blessing Bags Project made a big impact on Michael. He has been amazed by the way the body of Christ in California is caring for those in need on the other side of the continent. May God continue to be glorified as we seek to be the hands and feet of Christ to those near and far! • Please continue to pray for Deb’s mother-in-law, Anh. You may recall she has been suffering from dizzy spells after a concussion. She is doing much better! In fact, she was finally able to make plans to come to California to visit with Deb and her family next month. Please pray that nothing would hinder that trip and that she would continue to improve. • Finally, please pray for Throne of Grace this week. We have a big meeting on Tuesday and are seeking the Lord’s wisdom and discernment over the next step for our ministry. We are hoping to establish a partnership that would allow us to produce some of our products in larger quantities and thus possibly open the doors for wholesale marketing and more long-term partnerships with other ministries that could help distribute our products. Please pray with us that God will be glorified through our meeting tomorrow! Please submit prayer requests by NOON, Friday, to by included in the Prayer & Praise post for the following Monday!